Urban Decay is a tried and trusted high quality, cruelty-free make up brand that stands proud among the likes of MAC, Chanel and Estee Lauder in any makeup artist’s kit. It is renowned for making some of the best eye shadows on the market, namely the “naked” eye shadow palettes, which are their highest seller, so I decided to see how the lipsticks held up. 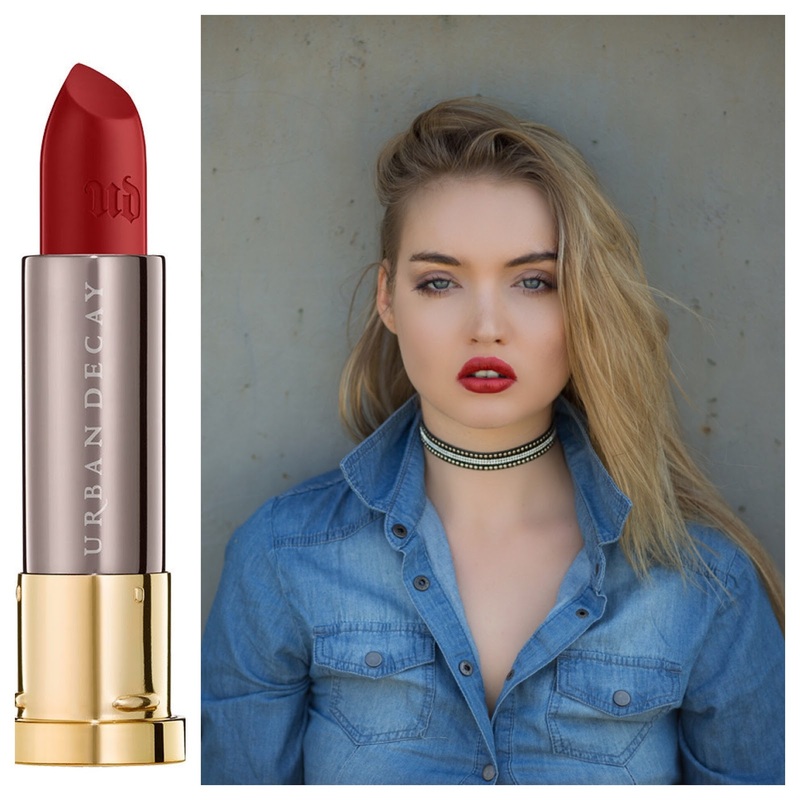 The massive range of colours and finishes of Urban Decays Vice range make it easy to find the exact look you are searching for, and at between £15-£17 a piece, they undercut the likes of other high end lipstick hitters quite considerably. Being particularly partial to a red lip, the colour that stood out to me was ‘Disturbed’ and I chose the comfort matte finish. A vampy dark red colour with cool undertones, for me, the epitome of what ‘red lips’ should be. The formulation was very smooth and glided on well, application was very easy and once on the lips, aside from a tiny bit of transfer, the pigment lasted very well. The lipstick photographs very true to colour and I loved wearing it on this quick test shoot with one of my favourite photographers @naturallighting101.